Hello Universe Hoppers! Welcome to my first ever FRINGE recap! Yes, I have been a fan since day 1, but prior blogging engagements have had me occupied for years. 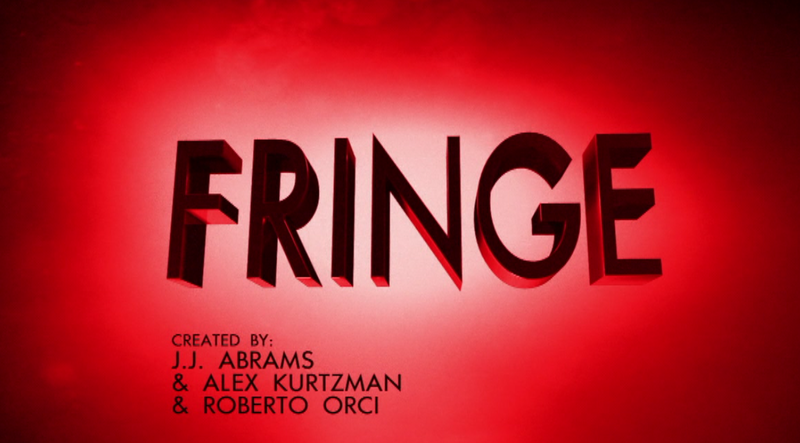 I'm not sure Fringe warrants itself to in-depth recaps trying to analyze all the secrets they are trying to hide. In fact, I'm not sure Fringe really keeps many secrets from us. They just throw these wild ideas out there and exploit them. And hey folks, it has been one helluva ride! I think when season 1 ended we had this desire to explore the alternate universe (over there) that was introduced. But we really didn't get our first BIG glimpse of it until the season 2 finale. 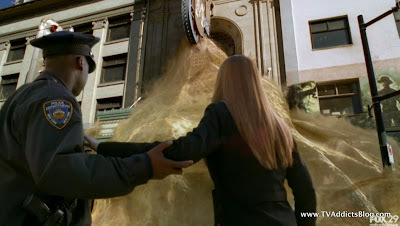 Don't get me wrong, season 2 was AWESOME, but the finale was a big set up for what was to come in the future of Fringe. The table is set and the STORY they have been setting up is about to begin! Check out this interview with the executive producers about the evolution of what the show has become. It's a great read. I loved the premiere and I can't wait for the 2nd part of the premiere when we see our other favorite characters next week. But for now, let's take a deeper dive into the OVER THERE world with our fresh set of eyes in our very own Olivia! More after the jump. When we last left our FRINGE Folks, Walter and Olivia had gone OVER THERE to rescue Peter from his real father ....WALTERNATE, who has big plans to destroy our universe. Olivia professed her desire to be with Peter. Peter agreed to come back with them. But crazy advanced technology other dimension versions of themselves put a stop to their plan. A switcheroo brought ALT-Livia back with Peter and Walter (as Spock himself, William Bell sacrificed himself to get them back to our world). Our Olivia was taken into custody and put into solitary confinement. Rumor has it we'll be switching back and forth between Universes with each episode. Our story OVER THERE begins now. It became clear very quickly that Walternate was attempting to make Olivia think she is ALT-Livia. Why? We'll get there. But Olivia fought really hard to retain her identity. Naturally, her trying to explain how she came from an alternate universe where things are very similar but different enough wasn't going over well with her shrink. In fact, it sounded almost as ludicrous as Hurley explaining to his mother the events that the LOST crew went through from seasons 1 to 4! Big difference though, Hurley's mom believed him! A couple tidbits we learned in her stay at the asylum. In Alternaland, Olivia's mother is still alive. Yeah, we found that out last season but we're actually going to see more of her in this season. Alt-livia was an olympic medalist for trajectory or something like that. 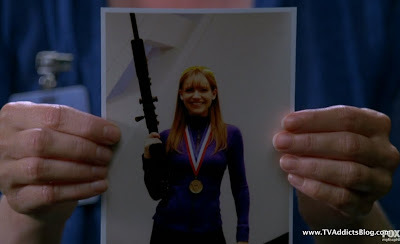 Whatever it is, we learn that she has some good aim with a gun. Walternate met with his top scientist guy who just happens to be the alternate version of Massive Dynamic's scientist guy. Not sure if we ever got a name for him, but if I'm gonna blog this show this is stuff I'm going to have to brush up on! Anyway, he seems a lot shadier in this world. Walternate believes that through Olivia they can learn the skill of how to cross between universes. By the way, I'm guessing that this season the writers are going to put up a big defense for the Alternates and how damaged their world has become due to Walter's meddling in the past. Their actions and desire to destroy OUR world may even become justified. Olivia received an injection that inevitably would trigger Alt-livia's memories, but Olivia wasn't going down without a fight. She took down all of her captors, memorized the code to the door to get her out of that place and jumped right into the water off of Liberty Island (Walternate's home base with a Statue of Liberty that is still bronze). The majority of the episode is a big chase in "Manhatan" (oh that's right, spelled differently). 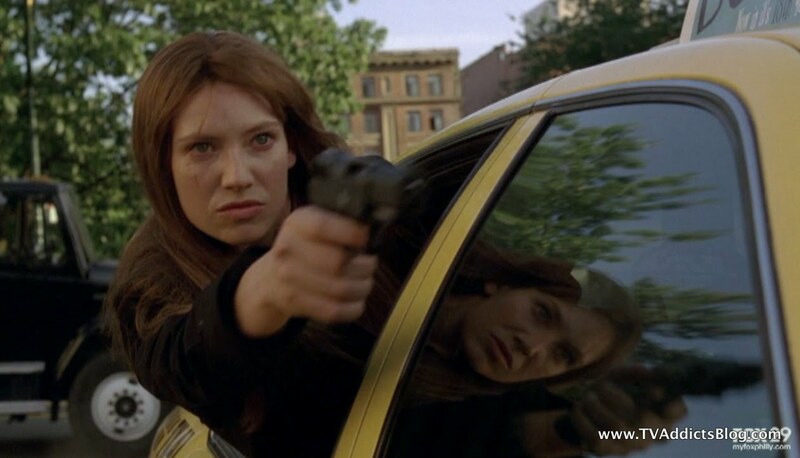 Olivia just happens to meet someone else from The Wire hanging out OVER THERE in a cab. (Still haven't seen The Wire, but I'll work on it eventually!) Henry seems like a pretty down to earth (Alterna-Earth) guy, even if he befriended a girl with a gun to his head. Olivia memorized his "SHOW ME" and learned all about his family to keep Henry around when she was checking some stuff out. While we were on our journey we got to scope out some of the sites of Manhatan. Here's what went down. Don't be expecting to go and see CATS if you're Over There. But don't worry, you can always go see DOGS! 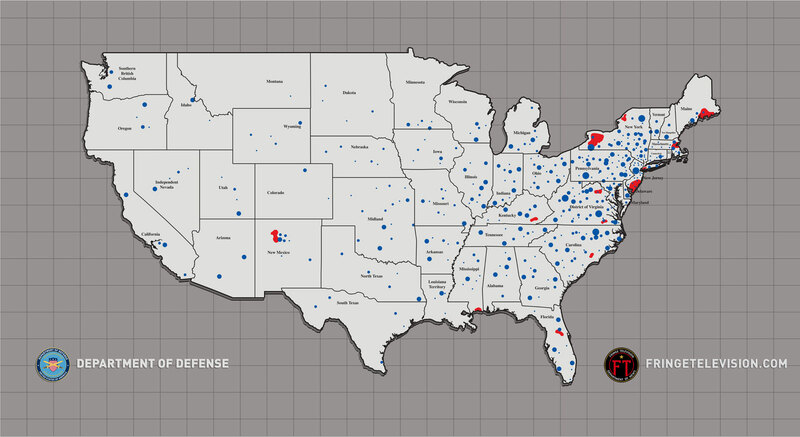 JFK was never killed over there either. He was stepping down from being a US Ambassador. You could hear it on the radio in Henry's cab. Apparently you need to swipe a SHOW ME to get a Taxi moving, as Henry had to take his own and swipe it instead of getting Olivia's. Henry apparently is just getting his life back together after being in some "trouble". Seems like Henry might be a recurring character so maybe we'll learn more about that trouble he was in. Anyone think of Dumb and Dumber when you saw this sign? "WE'VE LANDED ON THE MOON!!!!" Yeah, I didn't either but I just did now. Olivia gets a change of clothes and then asks Henry to take her to the Opera House where they arrived in this universe. When she gets there, there are protests galore. 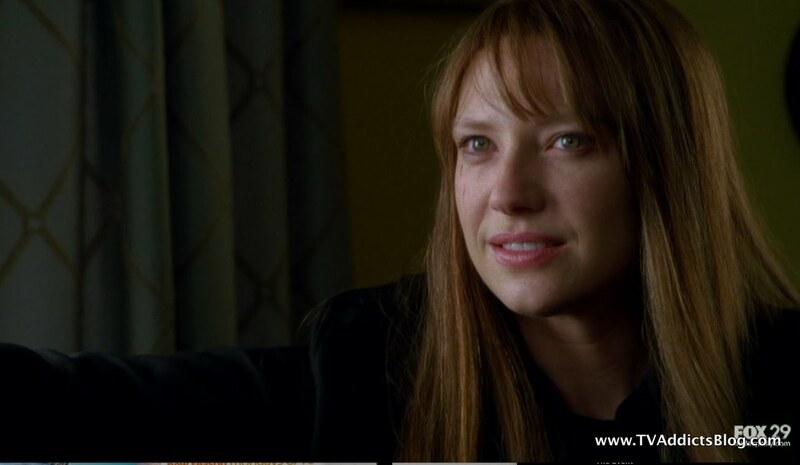 She passes as the other Olivia when the cop sees her. But he won't let her in because they are sealing the newest location of a TEAR in the fiber of their universe with amber. Just like we saw in the finale last year. Yep, they are really committing to her being there most of the season, if not all of it! 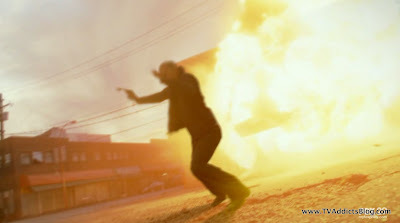 Meanwhile, Walternate has sent Broyles on a manhunt to get their girl. Bizarro Charlie is checking in on Agent Lincoln Lee. Remember when one of those crazy girls with Bishop/Bell abilities burned his whole body? Well he's recuperating but not 100% yet. Basically what we can tell from Charlie and Lincoln's conversation is that they are all under the impression that our Olivia is the Faux Livia. Walternate, Broyles and Science Guy are keeping things mum for now. Broyles informs them that Dunham escaped and they are all on board with going to find her. When Olivia shows up at the Ambering Event, the Fringe division is alerted to her presence. 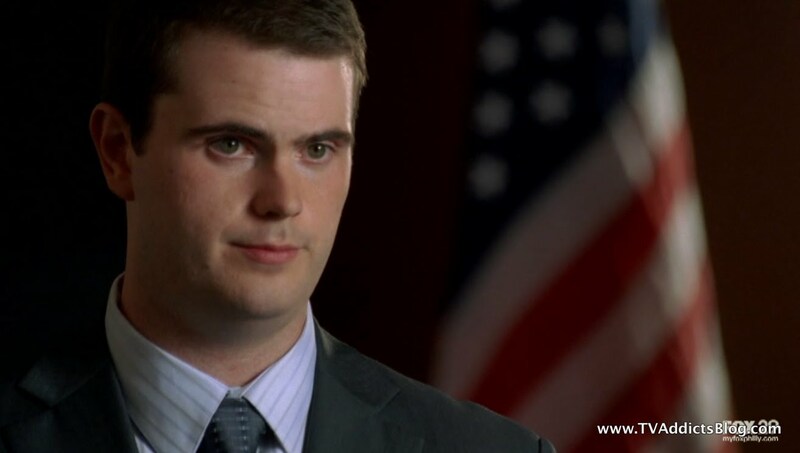 Lincoln has 6 hours before he has to return to the hyperbolic chamber, and he's going to help out with the hunt. Oh yeah, they branded Olivia with Faux-Livia's tattoo also! They're really trying to sell it. Olivia seems to sell Henry on the fact that she is not who everyone is saying she is. While he initially thought she was crazy, he seems to be buying it by the end of the episode. And by the end, he may be the ONLY one in that universe that thinks that besides Walternate and his science guy! Olivia and Henry share stories about their significant others. Olivia states how she "sort of" has someone, referring to Peter. Awwwww just breaks your heard that they're in 2 different worlds doesn't it!? Slowly but surely, Olivia's mind starts going a bit haywire. First the gun shot, then she refers to her man as Frank instead of Peter. (Charlie visits Frank in the scene before to give him an update on Olivia) They get to Massive Dynamic's address and it doesn't exist. 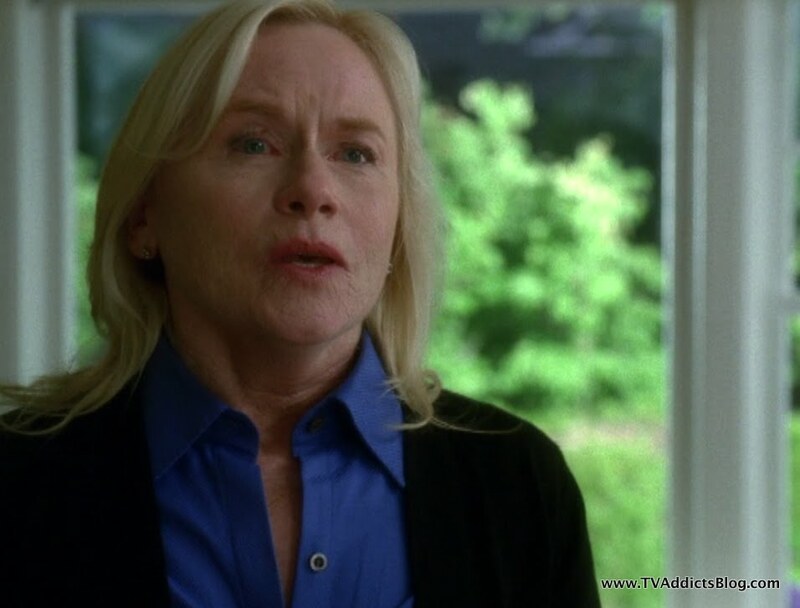 But Olivia remembers an address and thinks it is one of Walter's safehouses. A place where she'll get to go back to her world. 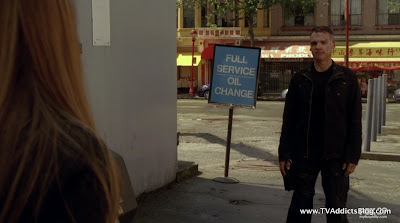 Broyles and crew figure out where she might go next as well and it's the same address. And what is the kicker that totally flips the switch in Olivia's brain? Yep, her mother! Olivia fought it as hard as she could. She knew her mother died many years before. But her Alterna-Mom start providing information. Asking how she would know that address. They talk about painting the house and Olivia is remembering it all. OH NO!!!!! Then Charlie arrives and she's happy to see him. Everything is back to normal....errrr but not!! Now there is a version of Alt-Livia in 2 different worlds with Olivia nowhere to be found! Walternate's Science guy said that this was all according to plan. The adrenaline of the escape is what triggered the other memories to take hold. What does this all mean? Well, it's going to make things a lot easier for them to tell stories in the Alternate Universe. We're going to have our every other weekly "FRINGE" cases to solve in that world and the characters will be talking about their pasts and we'll learn more about ALT-LIVIA's story. Because in the other world, I'm sure she won't be providing that information. She'll be trying to pretend to be our Olivia. It's certainly going to be interesting! And Henry? Well he looked suspicious as to how things went down. He never left their last stop even though Olivia told him he could. Seems like we will see more of him! They have me hooked to see where this is all going to go! Just like we opened up to Olivia telling someone about alternate worlds and her seeming insane. We see Peter Bishop explaining his experiences while over in the other universe. The guy was taking notes and "pretended" to run out of ink because he clearly thought Peter was nuts! Alt-Livia has her hair dyed blonde to really pull off the look. It was great to see OUR Walter with his crazy love for food and all. Even if only for a brief minute. But the real kicker? When Peter was asked why he returned to this world even though he belonged in the other one? He told Alt-Livia that all he could think about was her. Then they laid one big smooch on each other. Hmmm I wonder how Alt-Livia is feeling about this fake relationship she has to be in when she has a man on the other side!? How is Peter going to feel when he finds out who she really is? I don't know but I'm excited!! So FOX hyped up next week's episode as the "continuation" of the season premiere. Makes sense. 2 Universes, 2 parts, 1 premiere. I have heard that the 2nd episode is equally awesome, so I'm really looking forward to it! I'm looking forward to an entire season of "Myth-alone" episodes that they perfected in the 2nd half of season 2. That would be Stand-alone episodes with a beginning, middle and end but where they keep the mythology story running. Check out that article I referenced up top for more information on that. So, I may have to work on my recaps for this one. I don't know if it's necessary to dissect the show line by line. It just isn't that kind of show. But when there are big revelations they are definitely worth discussing! And all these little differences in the Alternate Universe are fun to point out too. It's a work in progress. Let me know your thoughts! And of course, share your thoughts on the episode! Hope you enjoyed my ramblings and I'll see you next week! Don't forget to look for my recaps of THE EVENT on Tuesdays after it airs. And of course, I'll be commenting on many other shows in many shapes in forms as time permits. So stay tuned! Sign up for email updates so you are notified when a blog is posted, or just follow me on twitter! Great ep ! 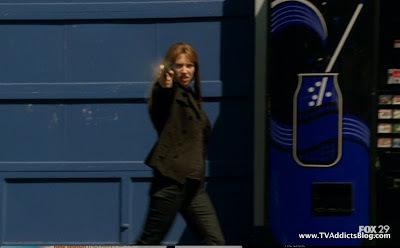 Loved the small ways they showed the Faux-Livia's info seep into her brain - the sharp shooting and the boyfriends name. At first I thought our Olivia had decided to just fake it and go along, but now I don't think so. Didn't hear about Ambassador Kennedy - good catch. Thanks MJ! My wife and I were actually talking and laughing through the JFK part because of the "DOGS the Musical" sign and I thought "wait a second, I'll bet you they said something interesting there. I'm rewinding!" lol Yeah I too liked the slow seeping of Faux-livia's memories into Olivia's brain. Now, I just wonder what will make her eventually snap out of it. I'm thinking it has to be Henry but we'll see! Nice recap! I hope a fair amount of your Lost readers follow you to this site. Enjoyed the episode... the wife watched with me for the first time so I was explaining the whole time and didn't catch half of the stuff you mentioned. Love the Shexxon! I think Olivia said in reference to the Olympic photo of Folivia that she had never won a medal in marksmanship. Thanks Bryan! I really hope they follow ever too. It's definitely much lower volumes than LOST was but it's definitely higher than my initial reader-base of LOST was. So some definitely have come over. Hopefully, it will grow! Thanks for checking it out! Ironically, the wife is the one that pointed out the Shexxon to me! LOL I'm loving all the little nuances "OVER THERE". At least it gives me something to talk about in the blog! Marksmanship...that makes sense! lol Thanks for the feedback Bryan. By the way...are you watching the Event? I'm recapping that too! And if you missed it, I think it's airing again this weekend. Plus it's a free download on iTunes and PS3. I'd imagine other places too. 1. Who exactly are the observers? Are they from the other world? 2. Werent there Alien Bounty Hunters (X Files) last year? 3. 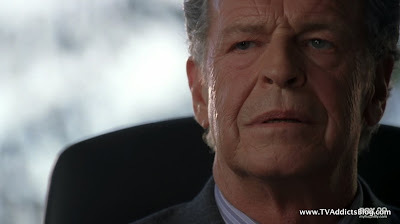 What was the point of the dude from the first season making the gateways? 4. Isnt the Amber in Other Earth, and the Worms in Charlie, and the other partner dude, arent they references to some MOTW episodes that basically either were not solved in Other Earth or out of control due to "our world" interfering? 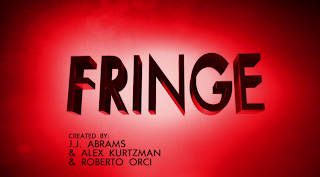 I have always loved fringe, really glad to have you guys to help figure it out now! AUStarwars, I don't mean to be thick, but what is MOTW? I don't speak text very well. I missed the shexxon, that was fun. I just don't see how Olivia could possibly switch to altlivia since there are some things that she couldn' forget (I hope). I am looking forward to it all! The Event pilot is on 4 different stations tonight....USA, SyFy, Oxygn, Bravo, weird. They REALLY REALLY want it to be successful. AuStarwars - Have we learned exactly what the observers are yet? (i.e. where they're from?) We know that they know everything that HAS happened, is happening and WILL happen. We know that they are present in EVERY episode (although I haven't seen them in every episode lol) observing key events. And even though they're not supposed to get involved, one of them (August) has gotten involved with Peter/Walter's destiny. Not sure if I know much more than that but I definitely need to watch the first 2 seasons again too. Don't remember the Alien Bounty Hunters, but I'm sure they were there. Some of the "MOTW" episodes kind of fade into obscurity for me. The first season with the gateways...no clue but I do know that the actor is a series regular on Mad Men now...so I'm sure that is part of the problem. I think they have re-geared this show though from the mid-point of season 2 to now...where the episodes will still have "monsters of the week" but they will be still delving into the mythology. You should check out that interview I referenced at the top of this post. All great points though...and I'm not sure what to tell you! Yeah, all of those channels are owned by NBC Universal, so I'm sure you're right...they really want it to succeed and they are marketing the hell out of it. That's great if you ask me. I heard something that NBC was glad the marketing paid off for the pilot but NOW it's time to market even harder. Good strategy! 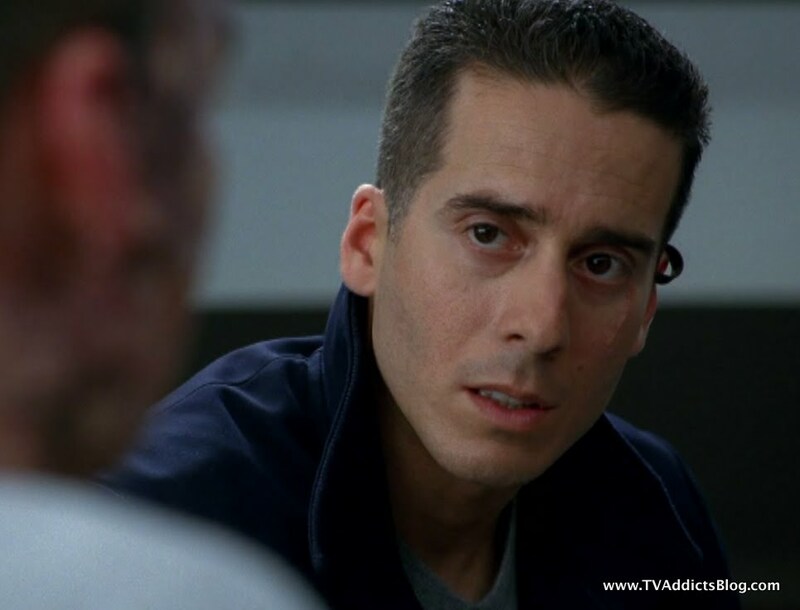 Mike-I read the interview, I enjoyed it, nice find!, and I certainly sympathize with the writers in dealing with Conspiracy vs. MOTW episodes..its an age old debate from X-Files of years ago..the good job they are doing is looking at each episode at driving the characters and overall plot forward..the main problem I have with the show, however, is that other than Walter and Browles, do we really "like" anyone enough on the show to really care? 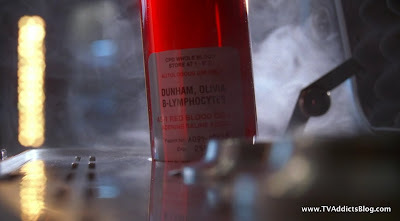 Like we care about Olivia more now specifically BECAUSE she is now a "mutant" or whatever...would we care about Peter at all if he wasnt "the son on the show" and now "from another universe?" Thats really my issue with how they stated it, I have found the MOTWs on this show to be entertaining, way more than on shows like Lost (when the veered off the path and make us try and care about Kate or Sun/Jin for example) because ultimately its the science and the plot that drives the show, not Paisey and the Scully-wanna be...no one ever relates to the every man heroes, we are entertained by the characters who solve the mysteries and are flawed, specifically in this case: Walter. AuStarWars - I'm surprised you mentioned Broyles in the characters we care about. I think they have done a great job in us getting to know Walter, Peter and Olivia over the 2 seasons. In the beginning...I too wondered how Peter would fit into it all. He just seemed like he was forced to be there because of his father but over time they have made him more integral to the story (which, of course, they claim was always the plan). And I can say that I missed the interaction between Peter and Walter and Olivia in this past episode which is saying something as well. The MOTWs have definitely been entertaining on this show. And I'm glad you mentioned Pacey because now I can too without being ashamed! lol It too me time to see him more than just that kid from Dawson's Creek....but I think he has sold it over time and now he's Peter Bishop to me. 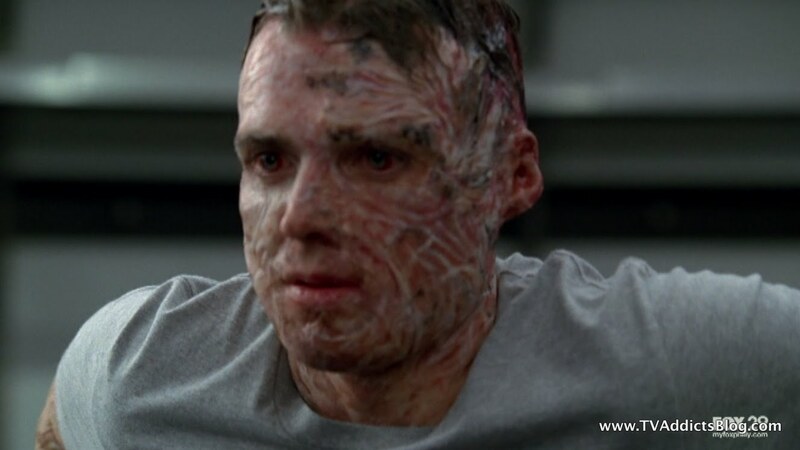 But yeah...Walter is obviously the best character on the show! @Mike - Yep, I'll be watching The Event as well hoping it doesn't turn into "the eVent" if you know what I mean ;). Definitely know what you mean! And totally concur!